At around 8:30 PM GMT yesterday, Friday the 13th of November 2015, explosions were heard outside the Stade de France stadium in Paris. An hour later a Cambodian restaurant in the centre of the city was attacked by gunmen and soon after that hundreds of people were taken hostage in the Bataclan theatre nearby. At around 10:30 French counter-terrorist police appear to have stormed the theatre, at this point the gunmen seem to have detonated explosive suicide vests. At 1:40 the police reported that they believed all the gunmen had been killed. At the moment the death toll stands at over 120, with reports of another hundred in critical condition and an unknown number of people injured. In some circles this is already being called "France's 9/11", the deadliest attack on French soil since the Second World War. What began yesterday and ended in the early hours of this morning now seems to be over. Today the people of France, and the Western world grieves together, for the friends and loved ones killed in the attack. In the coming days some will inevitably level criticism at the French security services for failing to prevent the attack. For what its worth I would personally like to thank them for their efforts. All it takes is a single incident to slip through the net and the hundreds foiled in the past count for naught. Ultimately blame must always be laid at the feet of the perpetrators. 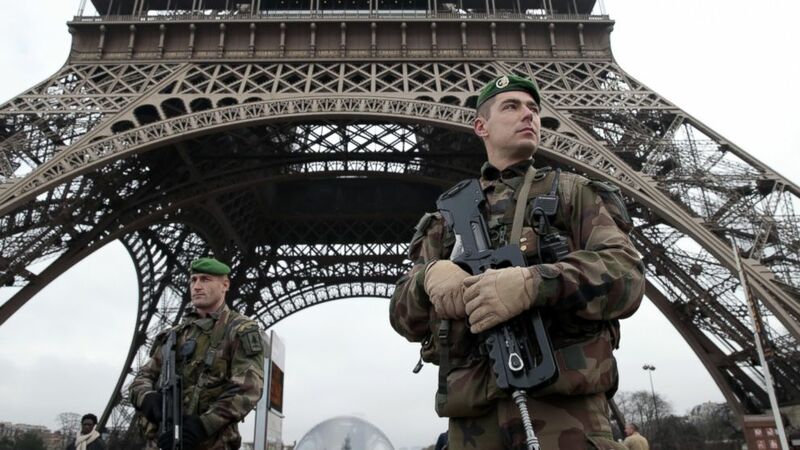 ISIS have claimed the attack as a response to French military action against their squalid fascistic "state", and it's probably that French police will confirm this in time. Today is not about them though, today is about pausing to remember the victims and their loved ones. What will happen tomorrow, and in the days ahead remains to be seen. What these attacks have made brutally clear is that we have been sleepwalking in our war against ISIS, an enemy that is as remorseless as any of the totalitarian regimes we have faced in the past. President Hollande has promised that France's response will be pitiless, that the attack was an act of war. When the dust clears and the celebrations in Raqqa end ISIS will realise that by attacking the West "all they have done is to awaken a sleeping giant and fill him with a terrible resolve." ISIS do not fear us because they do not understand us: they mistake our compassion for weakness, our slowness to anger for a lack of resolve. As wars past have repeatedly demonstrated, there is simply nothing as terrible as the Cold fury of a democracy roused to action. The West now grieves for the dead and prays for those that might still live. As for ISIS and the people that perpetrated this crime: there's a storm coming, the likes of which you cannot imagine.